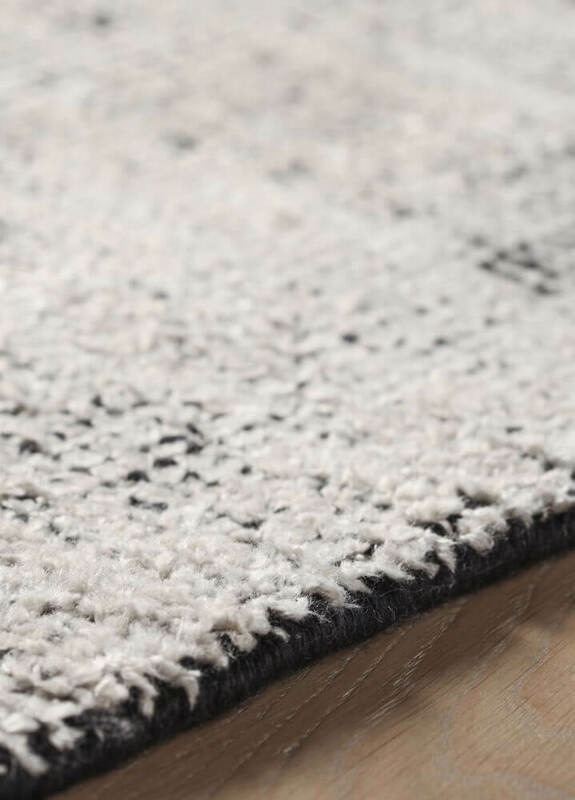 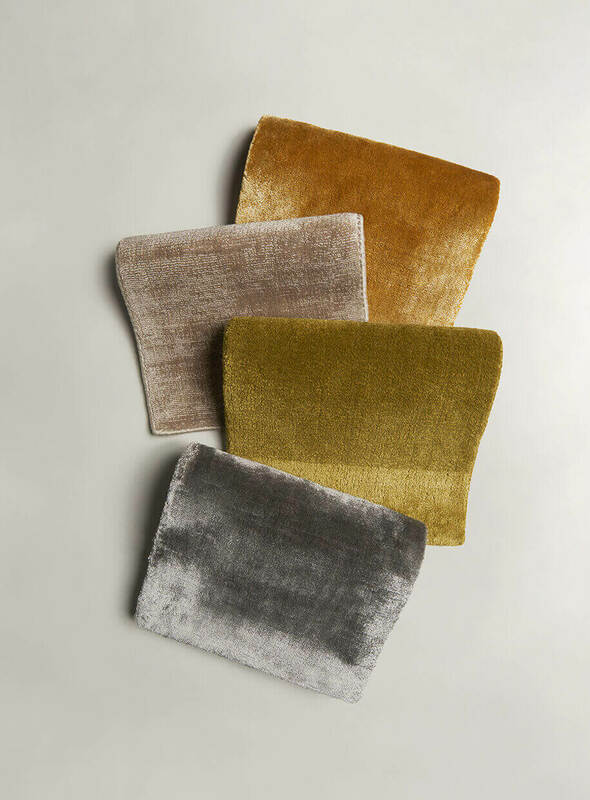 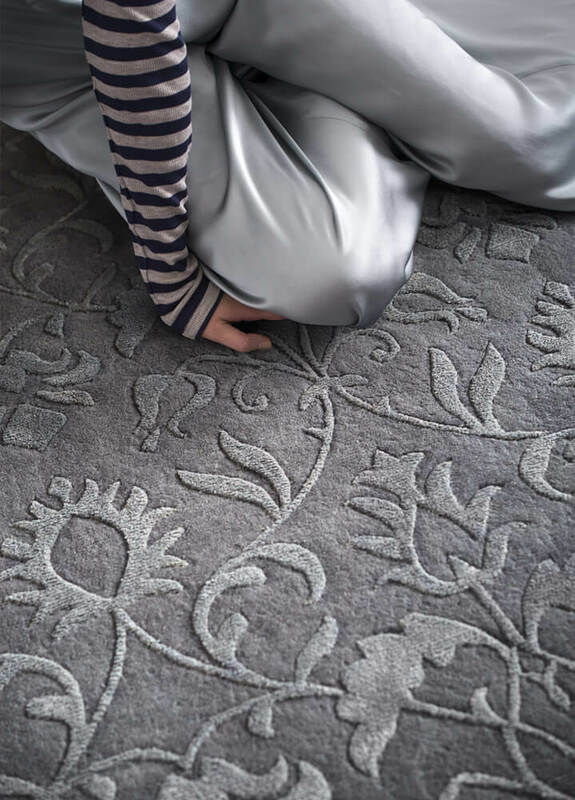 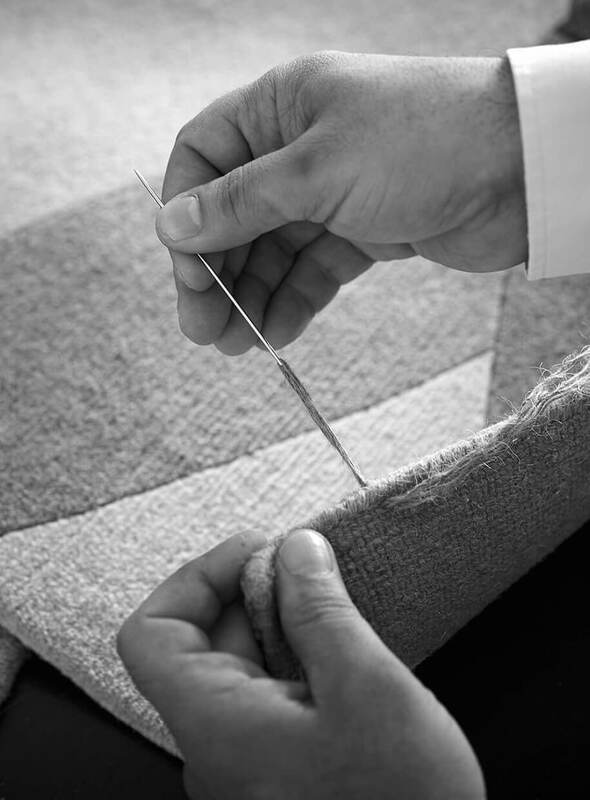 From the combination of hand spunned bamboo silk, wool and cotton comes the Perla line, hand-knotted rugs characterized by a unique pile made of many shades of irregular heights and the monochrome edge that enhances its uniqueness. 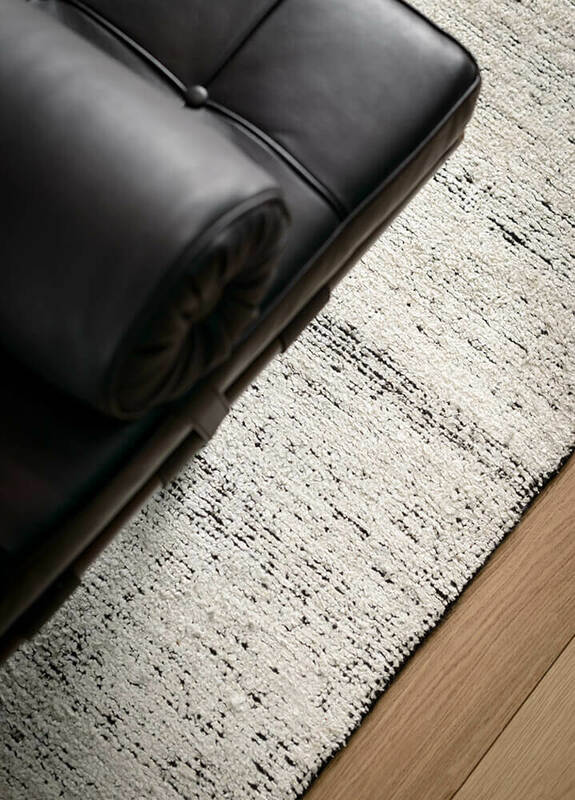 Each wire has its own material and chromatic characteristic, resulting in a carpet with an uneven surface. 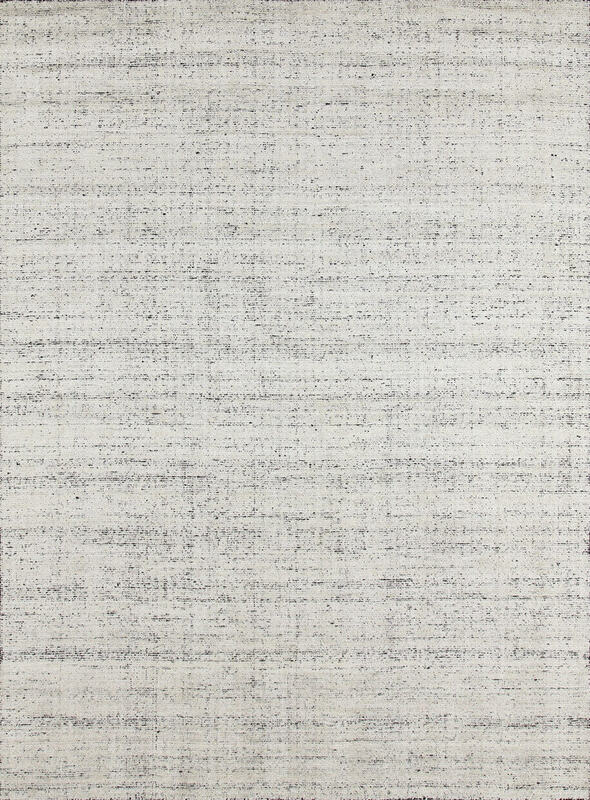 Perla is available in white silver, organic black, ivory, beige cipria and blue shades.